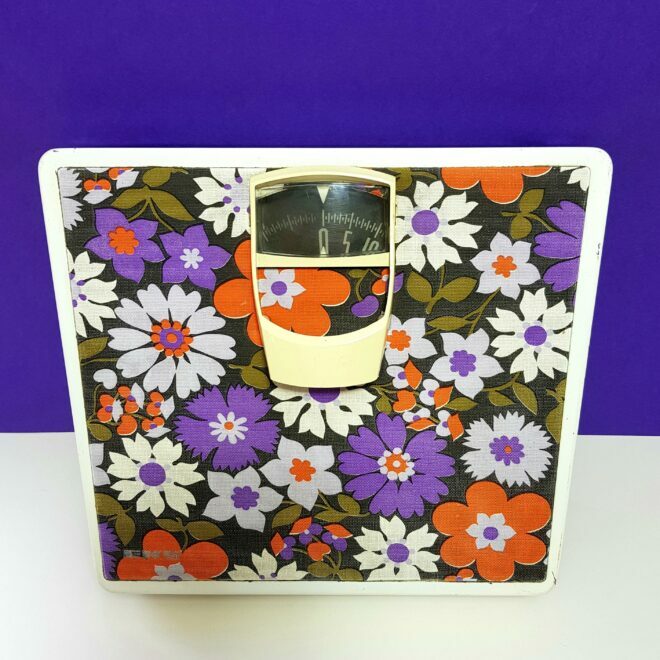 Absolutley stunning set of bathroom scales with a great vibrant flower power pattern. 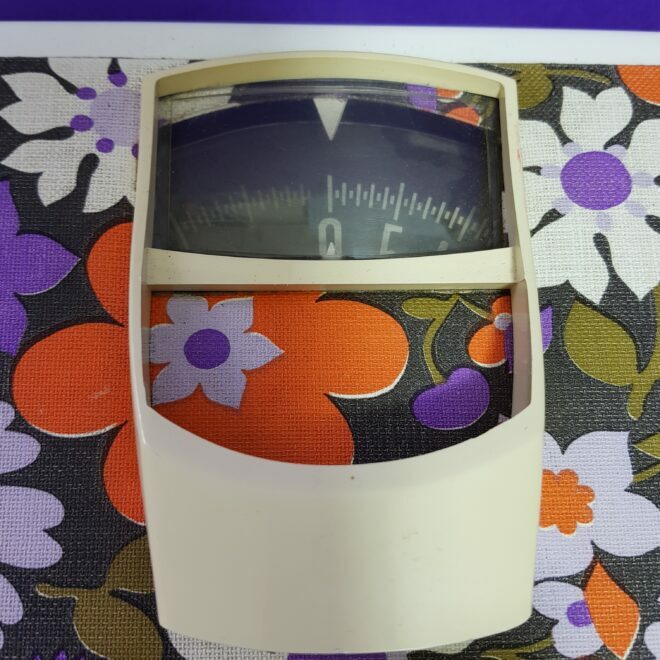 These scales were produced in the late 1960’s, early ’70s and have survived in very good condition. They are accurate and easy to read, and have an adjuster button at the front of the scales in case they need adjusting at all. They will definitly at a splash of colour to enhance the look of any bathroom! Produced by the EKS Company, founded in Sweden in 1945. They first manufactured small metal products. 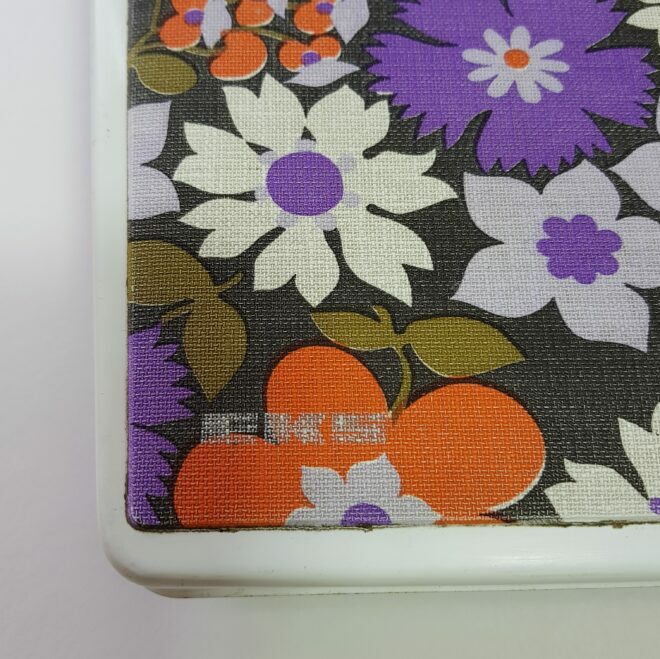 At the beginning of the 1960’s EKS started production of mechanical bathroom and kitchen scales and during the following 20 years the company developed into a multi-national concern producing top quality measurement units for the global market. 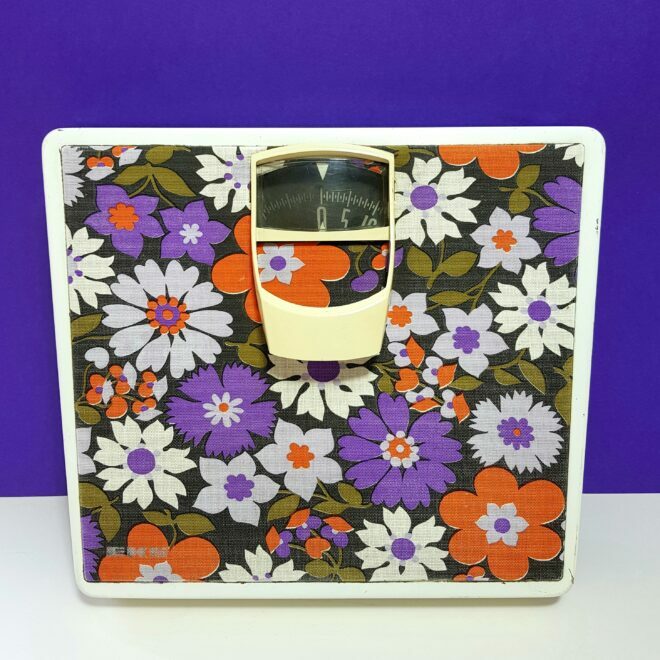 Condition:The scales are in very good condition, with no rust and no scratches on the plastic reading window. 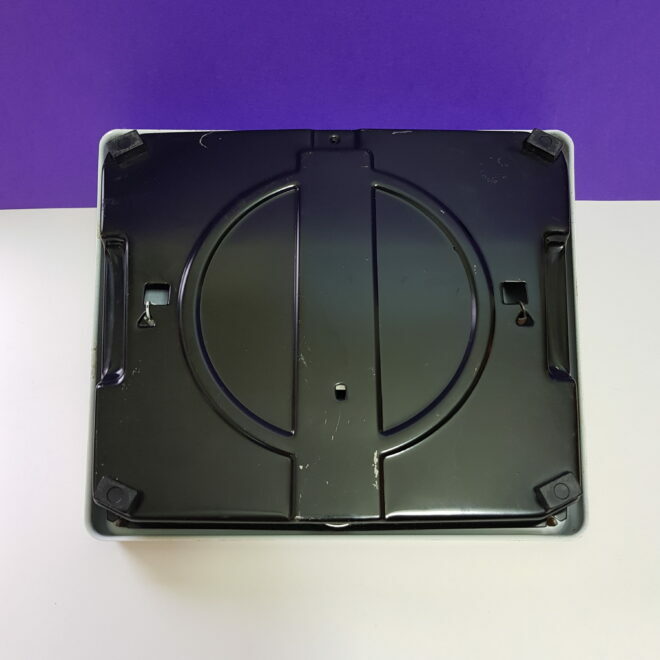 There are some scratches to the metal frame, but nothing that detracts. Please see photos for up close detail.